My private messages have been blowing up with people asking where to eat in Las Vegas while they are here for the Plexus Convention. Here is the thing, I have NO idea. Not kidding. We very rarely head down to the strip. All my favorite restaurants are out by my house, about 30 minutes west of the strip. If you want to Uber on out my way, I can definitely send you to some great places. So I decided to ask my local friends to help you out and give their suggestions for the best places to eat in Vegas. Jerry L: Rose Rabbit Lie. Melea D: The steakhouse at Paris is wonderful. Kelly P: Lawry’s, buffet at mgm, French restaurant in the Paris. Katie B: at Cosmopolitan or Mon Ami Gabi at the Paris. Both have Bellagio fountain views if you request it. Sherri M: Love Joel Robuchon – top notch. There are 2 so don’t get confused. 1 is 5 diamond, both are great. They’re right next door to each other. Joel Robuchon & L’Atelier Joel Robuchon. Make sure you know which one you have your reservation at. My friend is head maitre d there. Paul H: Capital Grille is fantastic! Jake M: Mon Ami Gabi is lovely at the Paris. RM Seafood at Mandalay Bay. Not cheap, but delicious. Texas De Brazil is on the south end (past Sunset) but worth it. Also not cheap, but it’s all you can eat. There’s a steak place near MGM. Great quality, but expensive as hell. Caesar’s has two places I like. Their buffet is probably the best in town (it is called Bacchanal). Huge selection, high quality. Right next to the buffet is arestaurant you almost wouldn’t notice when walking by. It’s called Rao’s. If you like Italian, there you go. If the convention people haven’t been to Cheesecake Factory, that’s also at Caesar’s in the back of the forum shops. A couple of semi low priced buffets are at Treasure Island and the Mirage. Haven’t been in a long time, but if you’re used to Golden Corral, then it’s a huge step up. Also at Treasure Island is the Coffee Shop. Just an American Cafe, but I like it a lot. I always get the stuffed baked potato. Pretty low prices, good portions of deliciousness. Stay away from the buffet at the Paris. 12 or 13 years ago, it was perfection. Today, it is a cesspool of depression and sadness. Food quality is terrible, and the service is even worse. Last time we went, I felt like I’d done something terrible to the staff just for being in their presence. The food was remarkably stale, and it was just as angry with me as the staff. They really should bulldoze that buffet and dump the rubble somewhere in the Middle East where it would most certainly be hit by a precision air strike. Another buffet that used to be amazing is at Planet Hollywood called the Spice Market a buffet. It has a pretty large selection. Although not as good as it was a decade ago, it’s still decent and not terribly overpriced. I hear a lot about the Wicked Spoon at the Cosmopolitan. I’ve been there a few times, and while I enjoy it, I can’t say it’s the best place. It’s usually a really long wait. It’s semi expensive, but the food quality is high, which makes it worth it. But, in my opinion the selection isn’t large enough. Bellagio’s buffet quality has not moved an inch since it opened. It is amazing. It isn’t cheap, but it’s worth every dime. The Aria buffet is hit or miss. It was the best in town when it opened but quality went downhill after the renovation. It’s still alright, but I wouldn’t put it at the top of my list of go-to food places. Mandalay Bay’s buffet was the same, but last time I went, it wasn’t memorable. I would avoid the Luxor and MGM buffets. They remind me of the Sam’s Town buffet, or as a better means of description, worse than a Station Casino buffet. Stay away from the M buffet. $40 for stale food. Almost forgot about the Wynn. Really, REALLY good. High quality, pretty decent sized selection. The line can be brutal, but when you actually sit down to eat, it’s like that relief you feel when you’ve made it through at root canal. Very satisfying. Circus Circus has one of the worst buffets in town. It makes The Sam’s Town buffet feel like a five star restaurant. They do however have a pretty good steakhouse at Circus Circus, which is terribly out of place in such a horrific property. Bally’s used to have a decent buffet, but I don’t know what it’s like these days. Maggiano’s Little Italy is really good. It’s at the Fashion Show Mall on the second floor facing the strip. If people are iffy about buffets, just remember that when staying on the strip, they’re going to be walking. A LOT. They’ll burn it all off. Darleen T: I love the wicked spoon, that and bacannal are my two go to buffets. Wicked spoon is tapas style , every bite is perfection. Jake K: I tried bone marrow for the first (and last) time at Wicked Spoon. It was like delicious steak flavored snot. That is in no way a slight against the buffet. They did nothing wrong. I knew what I was getting myself into. Sherri M: In addition to my comments about I love the following: Brunch – Wicked Spoon (Cosmo), La Cave (Wynn), Sunday Jazz brunch @ The Country Club (Wynn), Buddy V’s (aka The Cake Boss)(Venetian), Veranda (4 Seasons which is attached to Mandalay Bay). Lunch – Border Grill (Mandalay Bay), Julian Serrano (Aria), Olives (Bellagio), any of the brunch & most of the dinner places I’ve listed. Dinner – Everything @ Cosmo esp Jaleo, STK. Morels (esp on hot summer day for outside dining day or night Palazzo), Bouchon (Venetian), Maggiano’s(Fashion Show), Shibiya (MGM has good sushi but I wouldn’t have gone there had I not been there for a concert. Would go back for sure.) Lakeside (Wynn). On a budget & want old school Vegas? Go to Battista’s. Budget not such a big deal & want old school Vegas go to Piero’s. And don’t be surprised if you see “someone” there. Best view of the strip for happy hour – The Mandarin Bar (Mandarin Oriental). Want more ideas just ask. I’ve got tons more. Suzy B: Really any of the restaurants at SLS are crazy good. 800 degrees (pizza) noodle place and a cafe were all great. But the Iberico Ham at Meat Bazaar will change your life. Jodi F: When we go with a big group we always go to Maggiono’s I love it. I love the food, the music but it is a TON of food. I don’t live there, obviously, but we used to go quite a bit. I can’t wait to see all 12,000 of you in just 1 week! Make sure you let me know where you went and what your favorites were so I can add them to the list! Meet Mr. Life or Debt….. Otherwise know as Victor Antonio. I like to call him friend and mentor. What the world is about to call him is financial guru and superstar! If you are part of Plexus, there is a good chance you have had the honor of listening to Victor speak. Prophecize. Salesicize. Do his THANG. (You had to be there and you should feel really bad if you weren’t). Victor is a renown speaker in his own right, lighting up the stage with his stories, infectious personality and no nonsense approach to sales. But, I’m afraid our days of being within an arms length of Victor are numbered. You see he is about to become a TV celebrity. His new show Life or Debt, premiers on Spike TV on Sunday March 13th at 10 p.m. ET/PT. “Life or Debt” follows Antonio as he knocks on the doors of families on the verge of financial ruin and gives them a much needed wakeup call. Ooooh, sounds good, doesn’t it?! I’m pretty sure we all have something to learn from this show! As supporters of Antonio, I feel like it is only appropriate that we help launch him into reality show stardom by fulfilling his wishes. His last Plexus wish is that we find someone in every single state to host a launch party for his series. What does that entail? It is SO simple. And you don’t want to say no, or you are going to have some serious FOMO (Fear of Missing Out). Not convinced yet? Well, watch this! Tell your teams, friends and family. Invite them all over. Shout from the rooftops, “I KNOW HIM!!!! !” Go claim your state and support our friend Victor. If you do, he might even give you the finger. NOT that finger. This finger! Oh, and off the record. Victor LOVES glitter boxes. So if you ever buy him a present, you should put it in a glitter box. Just a little tip. You’re welcome. So on the off chance you just can’t possibly host a viewing party for Victor, there are other ways you can help! How about a viewing party for 1? That’s right, set your alarm and tune in! Make sure to blast all your friends on social media and encourage them to watch too! Don’t forget #lifeordebt. And of course you can go and “LIKE” the official Victor Antonio page and ask all your friends to do the same! If you choose to host, you might want to post this. You know, just so all your friends are jealous and begging for an invite. One of the most important elements you can have within your network marketing team is a personal bond or relationship. So many of us live across the country and rarely connect unless it is through a computer. Even those of us that live in the same city tend to run in so many directions, we rarely spend time together. One of our team leaders, Becky Meetze had the amazing idea to hold a Blitz day with her team several months ago. When she told me about it, I knew we need to create a national Blitz Day for our team. The result, a large number of people all working toward the same goals, encouraging each other, training as a group and most importantly bonding as a team! The growth and momentum we saw as a team coming out of that weekend was amazing! So, we wanted to share exactly how we pulled this off. You can start small and just host locally for your team, or you can go big and set numerous locations throughout the country for your team to plug into. Reach out to your leaders to ask who would like to host. You can always open it to other people on the team as well, but I wanted my leaders to have the first chance to host their location. Set your date and start promoting it team wide. Use graphics to get people excited and to save the date. We started approximately one month in advance to hype the date. Set up a way for your team to register at a specific location. This gives the host an expected number so they can plan ahead in case they are providing lunch, etc. We used http://www.signupgenius.com We created a sign up for each location and put a max number of people that could register at each location. Since most of our hosts were hosting in their homes, we couldn’t handle huge amounts of people. You want it to be intimate. Create a Facebook page for your hosts. This will be very valuable as the Blitz Day approaches. I designed graphics and a step by step guide on how to run the Blitz Day for them. Having a page dedicated to the hosts allowed me to share all the documents and answer questions. Determine your prizes. I decided that I would buy prizes for the winning location (you will see the tally sheet that determined the winners in a minute). It is up to you if you want each host to provide a prize for their location, or you want to sponsor a group prize for the winning location. I personally gave a prize for the first person at my location to sign an ambassador and the first to sign a new customer. I also am giving out a prize to every person at the winning location. It is up to you how you want to do this. Remember, this is suppose to be fun! You don’t have to go into debt to do this. A few days before the Blitz Day, you can share the list of items people should prepare for the day (homework) and what to bring with them. I just created graphics in Canva and posted to the host group on Facebook. From there, they took the graphics and shared with their registered members. Some of them also created FB pages for their locations, others just shared in a group message. Post the outline on how to run Blitz Day for your hosts. This is how we decided to run the day, but you can come up with your own plan. This can also be broken down into several days. I have a few locations that have decided to cover 1 hour a week for the next 6 weeks. Do what works for you! We even had one host runs his Blitz Day over Zoom for the people that couldn’t get to an actual location. Click here to see our Blitz Day outline. I created videos to be played at the top of each hour to get everyone ready to work. You will see each video touches on the topics that are listed in the PDF file above. Videos to play at the top of each hour. There are also a couple of videos that are embedded in the pdf file for you to play. Set a time to do a zoom check-in. Since I’m on the west coast and much of my team is on the east coast, we decided to set up a http://www.zoom.us call at 9 a.m. my time, which was noon for them. It was so great to check-in and see everyone’s face. I answered some questions and had each location tell us what they had accomplished so far so that we could cheer them on. Just a fun way to kick off the west coast and get the east coast excited about their afternoon. Tally Sheets! So we decided to have everyone keep track of how many people they contacted, how many meetings they set up (these can be 1-on-1 meetings, phone calls, etc), how many new customers were signed and how many new ambassadors were added to the team that day. We decided to use percentages so that every location had a fair chance of winning, even if they only had 3 people at their location. Think of it like the Biggest Loser. It is based on the percentage, not the total. You will need to print these for your guests to track their progress. Have them track names under each category. At the end of the day have them record how many people they got under each. So if it says ______/20 and they contacted 18 people, they would write 18/20. For percentage, that would be 90% for that category. At the end of the day I need you all to report your numbers to me. You can put together a spreadsheet, or just take pics of the sheets and send them to me. Whatever is easiest. I can calculate the overall percentages and announce which location won. I will be sending prizes to the winning location. HAVE AN AMAZING BLITZ DAY! We all agreed that we had such a fun day. So many special bonds and memories were made! We started with a little food and of course some pink drink………………. And then moved on to focused business building efforts and income producing activities. But we had a lot of smiles and laughs (and a few tears) along the way too! Tally the sheets and hand out the prizes! I gave everyone until midnight that night submit their totals. Then I announced the winning location on our team board for everyone to see. Overall, this was a HUGE success for our team. Now, leaders across the country are running with the concept and hosting their own team events. They are tailoring them to fit their team and needs. It forced everyone to step outside their comfort zone and truly focus an entire day on income producing activities. It doesn’t matter if you are new or experienced, every person walked away excited about what the future of their business looks like! So many people say we should “manage our time”, but is it really about time? Or is it about managing the amount of activities that happen during that time? I’m a FIRM believer in planning your day before you end your day. Doesn’t make sense? Stick around and I’ll show you the way. I am a self proclaimed over scheduler. Things pop into my head and I think to myself, “I can do that. No problem! Should only take a few minutes.” Flash forward an hour. I’m complaining to myself and still not finished. Or, I have the best laid plans and then someone asks me to take on the school carnival and I say yes, derailing everything else I had planned for, oh I don’t know, the next 6 months? I finally had to take my life and my schedule back! I had to put all my activities in their place and only allow what was “open” for those last minute emergencies. Ever hear the saying, not my circus not my monkies? Well, that now applies to my life and my network marketing business. Your lack of planning is not going to become my emergency. I can help, but only if I have an open block of time available. Last year, I did a series of videos on how to get your network marketing business up and running in 20 days. One of the videos was about Scheduling Your Day. You can watch it by clicking the link. This post is basically a follow up to that video. Many have been asking exactly how I plan my day, so I thought I would show you. Now, what you are about to see is not for the weak of heart. Don’t judge! Or judge all you want. Because for as OCD as this looks, I promise you there are 12 loads of clean laundry waiting to be folded and crumbs all over my table (where do they come from, it is like they breed and multiple. I try, I swear I do!). Here is where I start. I’m an old fashion paper planner kind of girl. This is what I buy. I get mine at Office Depot, but there are tons of options available. I LOVE a calendar with hourly appointment times. THIS IS A MUST! There are monthly tabs for an overview of your month (super important appointments). AND, the most important part! The daily section with hourly appointment slots. What you do next is the BEST part. We are going to assign categories to each color. Now, these are my categories and what works for me. Feel free to create your own system. I just use my label maker to label each one. It makes me happy to just look at how cute they are. They just want to help. It is in their DNA. So, what does it all mean? Well, here is my list. IPA (Income Producing Activity) – This is for all my network marketing peeps. Or work at home mamas 😉 For me, an income producing activity earns me money. Or will lead to money. It can be doing follow ups, meeting with a prospect, reaching out to people that are interested in Plexus, etc. Admin – This is your administrative work. Your busy work. Social Media (NO, this is not income producing MOST of the time). Yes, I schedule in my social media time or I will get sucked in! This could be packaging gifts for my team, sending out samples, running to the post office, putting together a welcome pack for a new customer. Sometimes this is point stalking in my back office. Or am I the only one that does that? Personal Development – I try to do some kind of personal development every single day. It might just be 10 pages of a book while I’m in carline, listening to an audio book in my car, participating in a webinar that is teaching me something new about how to grow my business. Family – This is a BIG chunk of my day. Because I have 3 kiddos I’m running 5 nights a week to activities. So all those activities, rehearsals, extra classes, volunteering at school, ortho appointments, etc. all fall under Family. If you want to get really fancy you can assign each person in your family their own color. But honestly that just leads to fighting over who gets their favorite color and why does one person have more time blocked out than the other (they must be the favorite). Do yourself a favor and stick to one color. Household – Yes, I schedule household stuff like, oh I don’t know, cleaning. Why? Because I do not enjoy it. And I would leave it until I couldn’t take it, or I knew someone was stopping over in the next 5 minutes. I put it on the schedule to keep my house in some kind of none hoarder type order. If you are one of those OCD cleaning type people, feel free to come over to my house and help out. Unless you are one of those slightly scary OCD people, then maybe don’t come over. Personal – I’m not going to lie, this doesn’t get a lot of time on my calendar. I’m working on that. But I did get a treadmill recently, so I know have that time colored in. Personal time is for you to do something productive for yourself. Working out, meal planning, meditation, etc. Anything you need to keep your sanity and your cup full. Playtime – Everyone needs this! And this is different than personal time. Playtime is whatever makes you happy and allows you to turn off your brain. Reading a magazine or a book (a fun book, not work related), watching tv, playing some dumb online game. Now please don’t color the entire time your kids are at school your playtime color. This is a treat, but also a necessity. Relationship – Yes. Yup. Don’t argue with me. DO NOT roll your eyes. Schedule time with your significant other. It might just be a movie on the couch together, date night, “special” time. Do what you want. You don’t have to report it here. Just put it on the calendar! So how does this all work? Well, you need to put in the most important things first (appointments, must do items) and then start filling in. The idea is to get a balance of color. You don’t have to know right now what to do with each block. Notice on this particular day I have a green block and a blue block open. That means when someone asked me to send them more info about our products, I know I have time at 10 a.m. to do that. Maybe you block a huge personal block for the week. Perfect, your friend calls and wants to get pedicures. You look at your calendar and find your open personal time. Make sense? Now, when are you going to do this? I personally get in bed each night and plan out the next day. I plan my day before I end my day. That way I can go to sleep knowing I have the next day somewhat under control (assuming no one starts puking in the middle of the night). Will there be bumps and do overs? Absolutely! I do have days where nothing is written down. It happens! But I can tell you that when I stick to this, I see the largest amount of growth in my business! Last year I created this post and had a huge response! Stephanie from SJ Plexus was nice enough to update the tags for us to include the new Ease samples. Enjoy! 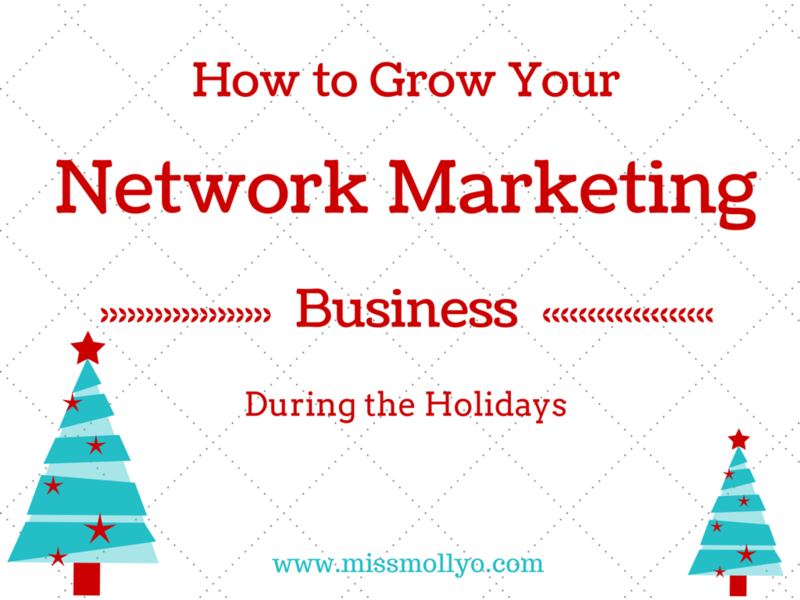 I was listening to an amazing webinar hosted by Sarah Robbins on how to grow your business during the holidays. I took her advice and came up with a little something that will help you to plant seeds over the next month. 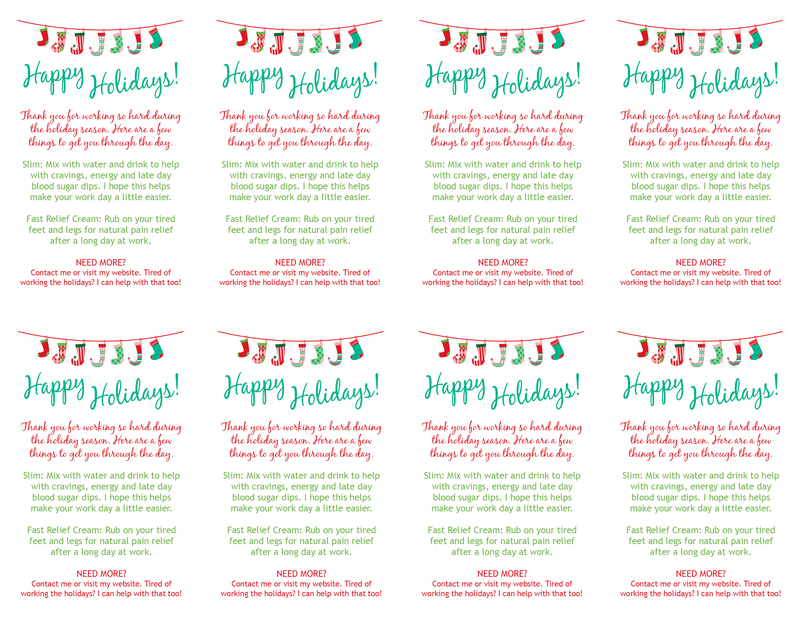 Holidays are traditionally a slow time of year for most Network Marketing companies. But that doesn’t mean you should stop working. The seeds that are planted now may yield an amazing harvest for you in a few months. So watch this video and start planting!! Special thanks to Stephanie at SJ Designs/SJPLEXUS for creating these adorable tags! tags 2015 <<< Click this link to download a PDF of the tags. I love to hear the stories of “Why” people on my team feel so strongly about this business. Below is a beautiful post written by my friend and business partner Jennifer Thomas, Silver Ambassador. Her words are beautifully written and ring so true. Some things really bother me. Adults being bullies, in veiled online “rants” that some find humorous are at the top of my list. There was recently an article featured on Scary Mommy that did just that. It bashed an entire industry and poked directly into the ribs of some particular MLM companies. It got personal. Around the same time the Scary Mommy article came out and began trending, a horrifically mean video of an ESPN reporter berating a parking attendant also emerged, and everyone jumped on the bandwagon saying how wrong it was. I totally agree – we wouldn’t let our kids “rant” that way in public, under any circumstance. Adults are expected to act with tact. A person of increased celebrity, especially, should be held to an even higher standard. Why is Britt so openly hated for being mean but the Scary Mommy article so celebrated? Why is it ok for us to bash others in context of a blog, but not ok to do in a viral video? Mean is mean. MLM is a nearly $33 BILLION dollar industry, and growing each year. It consecutively beats its own record high each year. Something is working. Yet, I don’t completely disagree with some of the points made in the Scary Mommy article. What’s not working are the bad eggs. There are some rules on the playground, and just like ANY OTHER industry, there are people that break the rules, ruining it for the rest of us. I say us because yes, I find myself unexpectedly yet unapologetically working for a MLM. I say “working” loosely. Doing something you truly love isn’t work. I can’t think of a better word right now to describe the fun I am having helping people transform their lives. I have always been a person that wanted to help people – my lifelong career in the non-profit industry is evidence of that. I “work” for Plexus Worldwide, a health and wellness company. But what I am really “working” for are the people whose lives are changing like mine has been changed. Actually, my life was SAVED on these products. I was on death’s door mentally and physically. I’ve told the story over and over, and I won’t stop. Somebody shared this stuff with me because I needed it, and I know there are others watching and struggling in silence. I started the products and started to feel better. My friends and family celebrated my long-sought and newfound wellness and started to ask what I was doing, not unlike when someone complements you on your shoes and you tell them where you got them. I started to share with others I saw struggling, much like I was. Sharing, NOT selling is the name of my game and the games of many others. Yes, there is a selling side to this too. You can make a wonderful living income by doing this. God bless all the single mothers and struggling families to whom MLM’s provide the opportunity for a better life. I have seen people start these companies to escape dangerous domestic violence situations. I have seen people be able to send their children to better schools because of it. I have seen people reach financial freedom seldom known in this credit/debt based society. 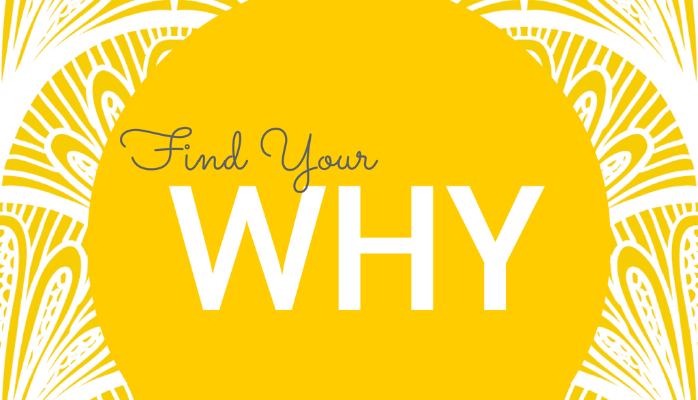 My why, personally, has nothing to do with the status. As I said, I know there are countless others watching and struggling in silence. My why is for THEM. My why is for YOU! We learned as children not to judge a book by its cover. We all hope to not be labeled or grouped or judged based on one facet of our lives. Before you find yourself judging or grouping or blocking or unfriending, let’s remember the rules of the playground. And let’s remember to celebrate each other. Why Our Compensation Plan Is Like No Other…. 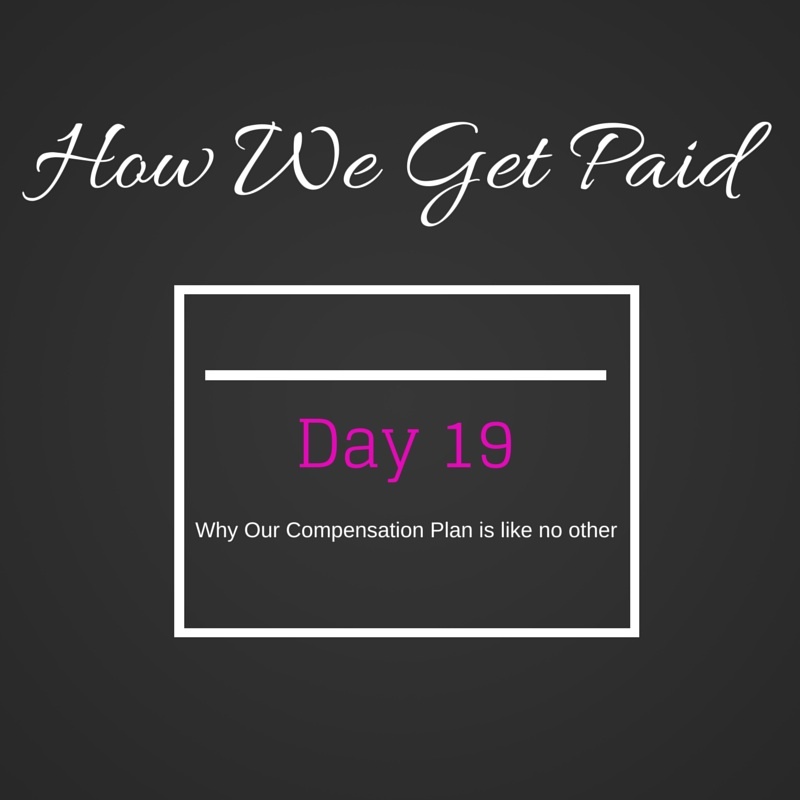 Plexus created 3 amazing videos to explain our compensation plan. Plexus truly has the best compensation plan in the industry. Start with video 1 and work up to 3. Each video should play automatically after you finish the first video. After a while it will all start to make sense. Watch the videos and set up a call with your sponsor to answer any questions you might have. Thank you @sherrihill for making classy and elegant dresses. Love that my 8th grader felt amazing in her Sherri Hill dress but still looked age appropriate.